At FRC Sewing, we know that personalized tote bags are an easy way to promote events, market businesses, and provide giveaways throughout the year. Our wide-range of longstanding clients have successfully utilized these methods for a variety of personal projects. Made with long lasting quality materials, tote bags in bulk can be imprinted with a personal logo design or message, and filled with other gifts to get the attention of trade show visitors. They’re also great for destination wedding and themed parities. Our experienced expert team of both designers and craftsmen are ready to work with you, hands-on, to create the most unique and durable designs for your custom bags, whatever the occasion. 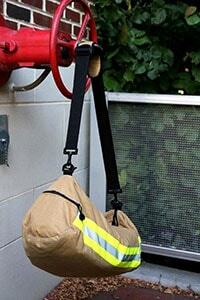 As a necessity, bags are critical to keeping all of your equipment organized and protected. Outdoor elements and weather can be a cause for concern for the items you need to keep on you while in the line of duty, and military bags are the perfect solution for making that concern disappear. Tactical packs come in all shapes and sizes depending on your need and the tools you need to carry. Rucksacks, duffle bags and backpacks are only a few of the options you have when shopping for your ideal tactical pack. Each type of bag has its own special benefits, making them ideal for covering a unique variety of situations and environments. At FRC Sewing, we not only help in matching your personal and unique designs with the final, high-quality product, but can guide you in realizing the quantity needed and provide an understanding of the variations available to you. In addition to the industrial and commercial work that our design team specializes in, FRC Sewing is renowned for its work in crafting professional military bags. 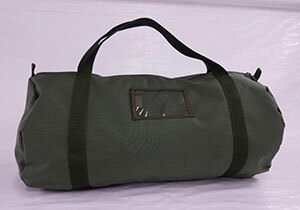 Many military bags also have the added benefit of being constructed with a camouflage pattern. This makes tactical packs perfect companions for regular adventures as well as more dangerous conflicts that require you to put yourself in harm’s way. Keep yourself well-prepared, organized, and supplied with the use of military bags, which make it easy to keep track of all your necessary effects as well as making it a breeze to carry them.